Tim Harvie (president and CEO at Southbow Farming), Reid Johnson (president at Core Network Solutions Inc.), Mark McNeill (president and CEO at Stream-Flo Industries Ltd. and Master Flo Valve Inc.) and Quinn Holtby (founder, president and CEO at Katch Kan) at a remote mountain location in Kananaskis Country for the 2017 CEO Rescue in the Rockies for STARS. 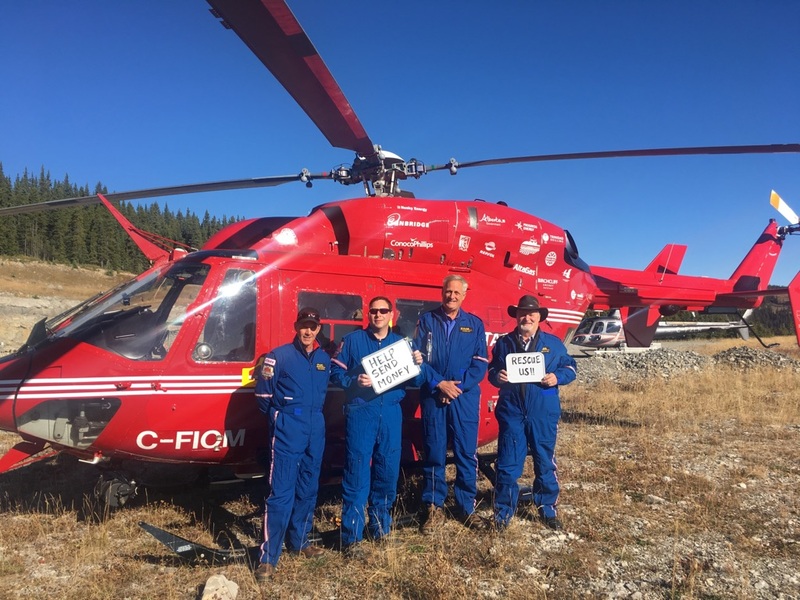 Four Alberta CEOs were put to the ‘mountain’ test on September 29, 2017, in an effort to raise funds for Shock Trauma Air Rescue Service (STARS). A huge success, the sixth edition of the CEO Rescue in the Rockies saw participants raise more than $365,000. Since 2011, the event has garnered more than $4 million for STARS and is the single largest fundraising event the organization holds. The participants began the day at the Calgary Peace Bridge helipad where they were picked up by helicopter. They were then flown to a remote mountain location in Kananaskis Country and dropped off. Their mission for the day: face a series of obstacles – including readiness, survival and STARS medical challenges – and use their cellphones to collect donations from colleagues, friends, family and fellow philanthropists. Their goal was $100,000 each. Once accomplished, they were “rescued” by a STARS air ambulance helicopter. Mack McNeill, president and CEO at Stream-Flo Industries Ltd. and Master Flo Valve Inc., was thrilled to participate. “The STARS organization put us through the wringer up on the mountain to make sure we understood what they go through on a daily basis,” he says. “It was a great learning experience.” McNeill raised over $150,000, a large chunk of which was obtained by the Stream-Flo group via telephone calls and functions, prior to McNeill’s time on the mountain. “I couldn’t be more proud of my Stream-Flo family,” he says. 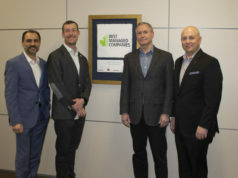 The other CEOs were Tim Harvie, president and CEO at Southbow Farming, Quinn Holtby, founder, president and CEO at Katch Kan, and Reid Johnson, president at Core Network Solutions Inc.
STARS relies on community, partners and friends for approximately 80 per cent of its funding. With three bases in Alberta (in Calgary, Edmonton and Grande Prairie) and bases in Saskatchewan and Manitoba, it serves four provinces with a fleet of 11 helicopters. Nominations are now open for CEOs for next year’s challenge.